Backside Itchy - Feel like getting a motorcycle again. I miss riding with the wind, at night (I dont miss riding in the hot sun). Probably night, weekend ride? Not worry about your riding skills. Only worried about those kuku or drunk drivers on the road. I am most of the time riding when alone. Just buy and think later. 2 strokers days are numbered......even if renew coe it will fail the stringent emission tests. I also like 2 stroke 250cc.......but its quite expensive though and the brand new bike price is a killer. Current 4 stroke bikes with 3 pistons are the trend for 2a bikes but i am not a fan. But nowadays too many cockanathan drivers, I gave up. Actually 15kph, the breeze already quite shiok especially near the coast. Nowadays quite a lot drivers and riders on road regardless, anyhow suka suka drive and ride like machiam their grandparent roads or yi laopeh one. What will happen if I fail emission? Must scrap the bike? Thinking of getting a run ride. Won't be getting new bike. But now still back side itchy phase. Must buy some cream to soothe it. It will cost 5 to 6 k to scratch it. Randomly get stuck under fly over not bad. Ciggie in hand, make new friends. Fun ride la. Fun ride. Macam after marry liao, then start to think, why I marry her ah? Edited by song77, 14 May 2018 - 02:05 AM. don't have 2/2a/2b but if i did... hello busa. other half rides a burgman 200 though. from sitting on a car seat too long, wish it wasn't so. no need to scrap....can put into store as you wouldnt be able to ride it without a road tax.....😂😂😂. 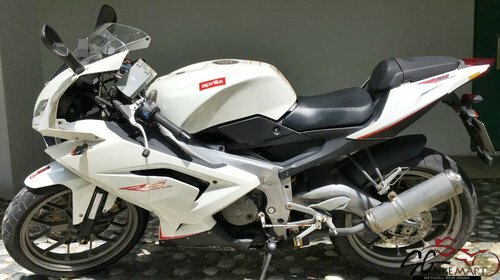 I saw a young chap riding an nsr250pgm a few weeks back..damn swee! busa too big for me but as people say, will get used to riding a bulky bike very fast. I prefer the 600-800cc......not so big, nimble and just right for my skinny frame.....😂😂😂.....but i dont have a class 2. Edited by Davidtch, 14 May 2018 - 09:38 AM. no need to scrap....can put into store as you wouldnt be able to ride it without a road tax. That why when I receive inspection letter, I quickly try to inspect in case they change their emission rules. This time I cannot because I dumped too much oil 2t oil so have to use up the tank before pumping new fuel for inspection.